June 2017 - OMG Love Beauty! Rose Gold: The Best Choice for a Great Summer Hair Color! Get inspired about the hugely trendy hair shade of this summer! Enjoy ideas and easy instructions about the huge current hair trend! How to: Silver/Platinum Blonde Hair At Home! If you love silver/platinum hair, check out this video! Gorgeous Hair Tutorials by Farrukh Shamuratov! Stunning hair creations by this amazing hair artist from Russia! Video: Astonishing Hairstyles by Georgiy Kot! This hair artist from Russia is so great! Video tutorial: Create this Amazing Hairstyle! This is a lovely hairstyle! Watch the video and learn how to create it! Check out the ultimate video tutorials to help you achieve the most popular and trendy hair shade! New Nail Art Summer 2017! Check out the latest manicure trends! Amazing Toenails for Formal Ocassions! From a wedding to a party those creative ideas will give you inspiration for formal toenails! 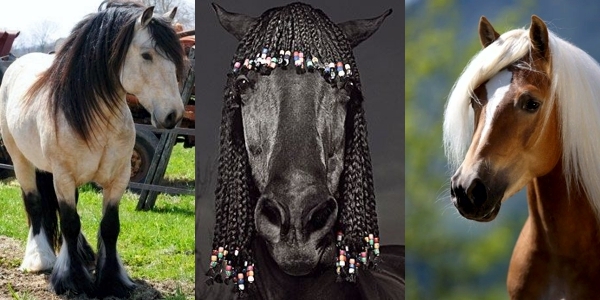 Check out this gallery, you will see some of the most gorgeous horses ever! First Haircuts - Hilarious Videos! Babies getting their first haircut... must-see videos! 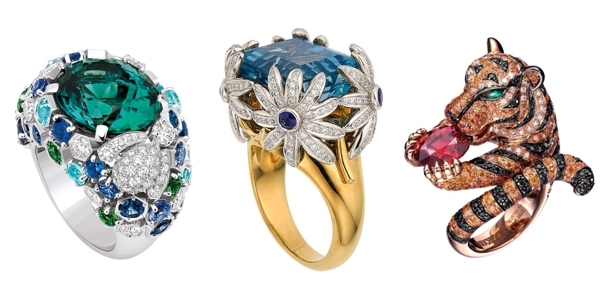 The Most Gorgeous Rings Ever! Astonishing rings! Scroll down and enjoy the full gallery! Check out some of the most impressive high heels ever! Simply awesome ideas for the best day of your life!!! Magnificent images! Just scroll down to see them all! Hot and trendy ideas for your nails! Enjoy!